Slovenly Recordings | WIN A FREE FESTIVAL PASS! WIN A FREE FESTIVAL PASS! 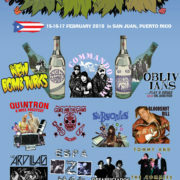 We’re Loud Fest returns to Puerto Rico! 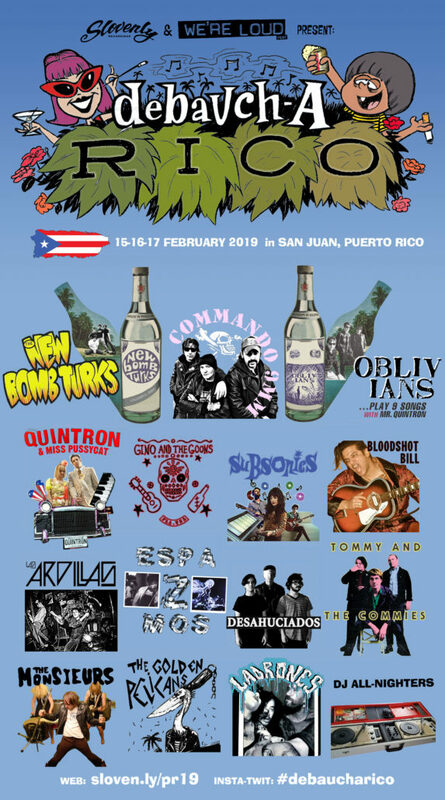 Escape winter for a weekend of garage & punk rock in one of the oldest cities in the Americas! Tropical weather! Beach parties! Cheap Beer! Puerto Rican Rum! Mofongo! Hurricane Maria Relief! ENTER TO WIN A FREE FESTIVAL PASS! Do both FB & IG and you can enter your name twice in the contest! The contest ends Wednesday November 21 at 15:00 AST (3pm Puerto Rico time) when we’ll announce the winner! The Oblivians (Memphis) …will …Play 9 Songs with Mr Quintron!! + mofongo! puerto rican rum! cheap beer!